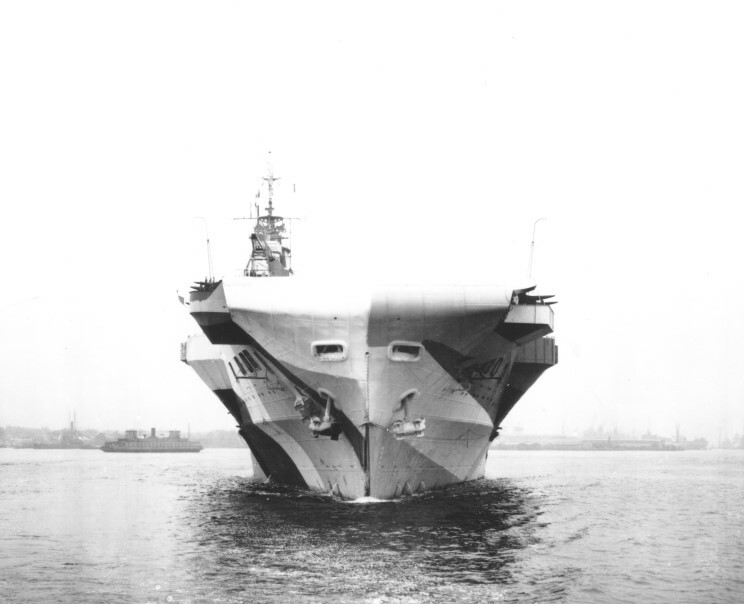 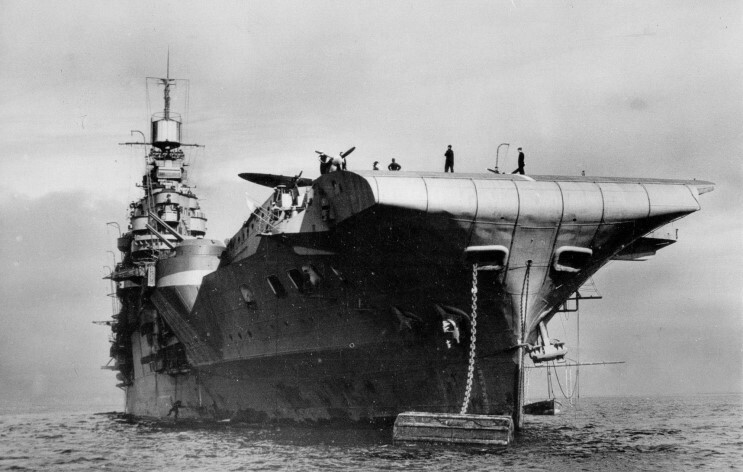 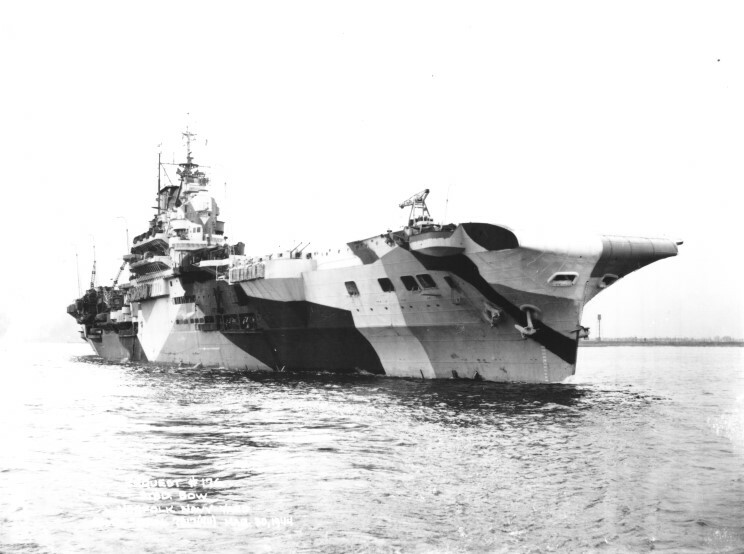 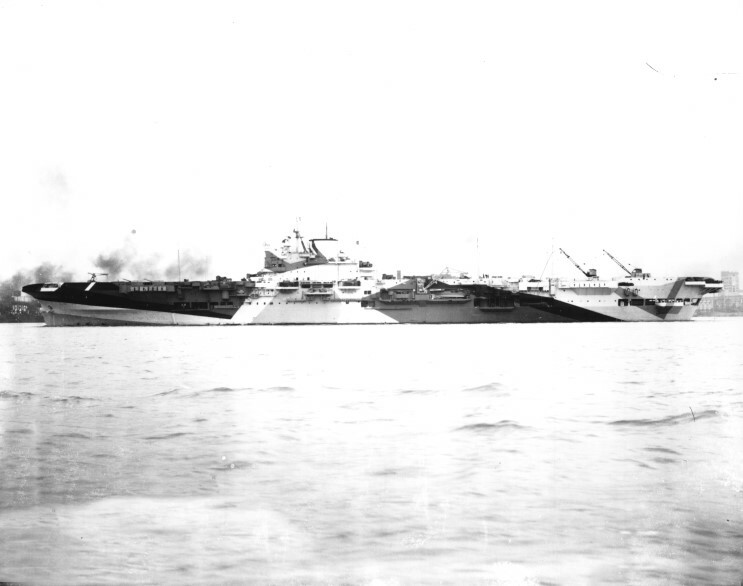 HMS Indomitable seen in April 1943. 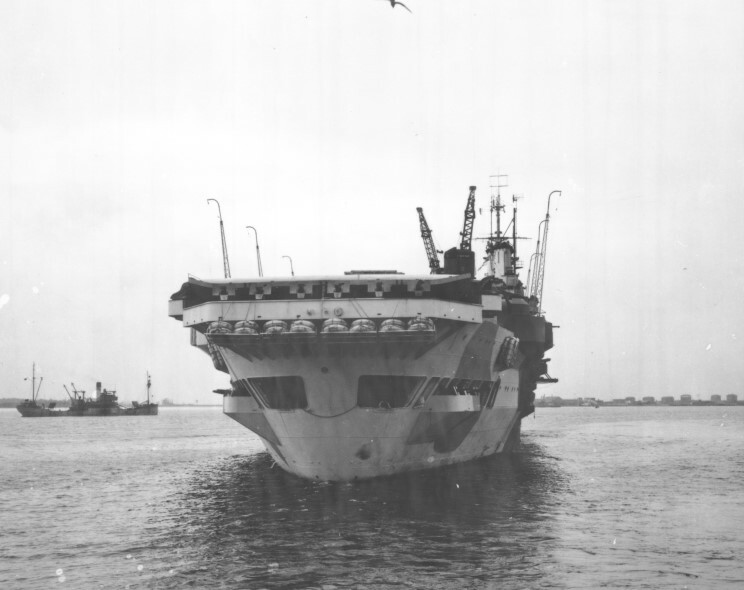 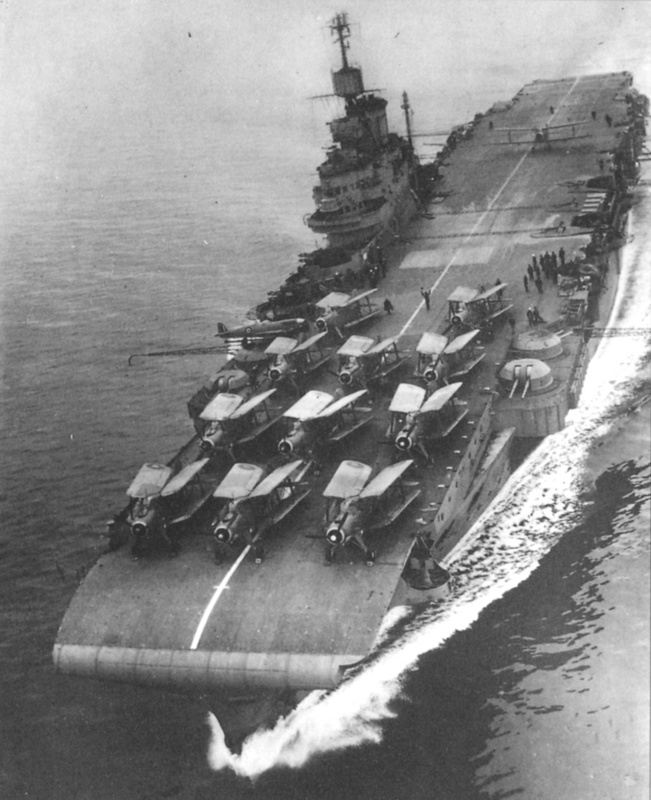 HMS Indomitable seen with Fairey Albacore's on the flight deck in early 1943. 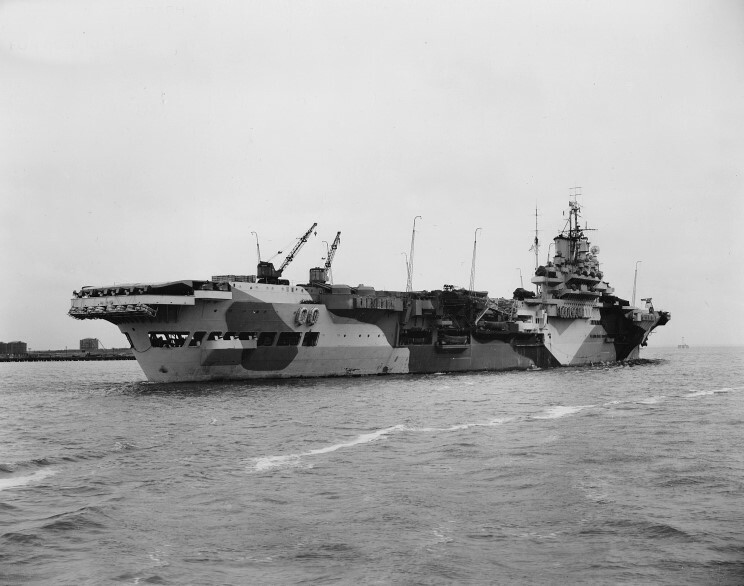 March 30, 1944: HMS Indomitable at the Norfolk Naval Shipyard, Portsmouth, Virginia. 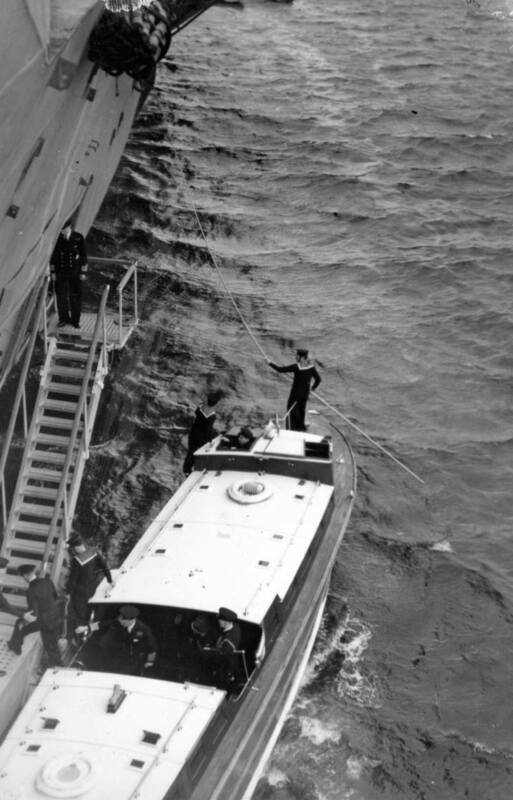 H.M. King George VI seen arriving on HMS Indomitable. 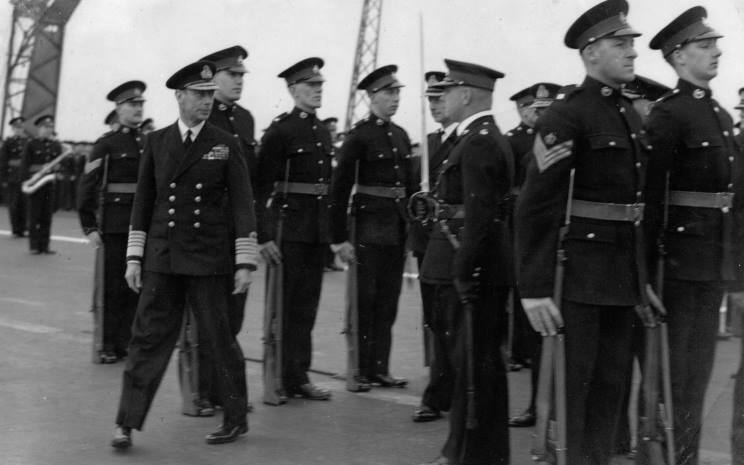 H.M. King George VI seen inspecting a group of Royal Marines on the flight deck of HMS Indomitable.